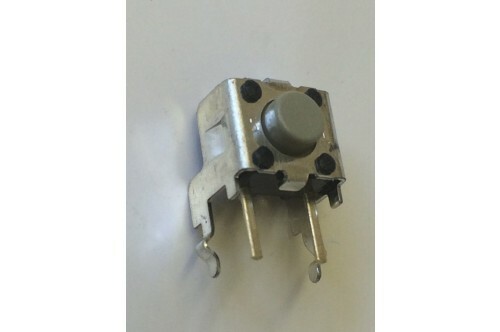 Manufactured by Omron as their part number B3F-3122, these are a miniature space saving keyswitch or tactile mini push switch. 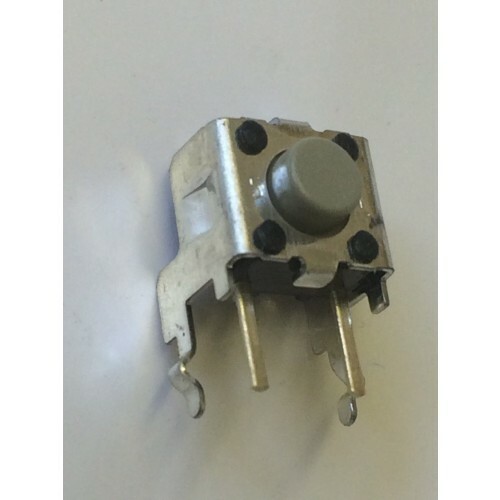 Single pole normally open contact (so the switch is made when the plunger is pushed), designed to be mounted vertically on a board, the push switch actuator is 3.85mm diameter manufactured from a hard grey nylon and the force required to activate the switch is quoted as 150g. The whole body is 6mm square.